Representation : Askonas Holt , Ariën Arts & Music Management B.V.B.A. 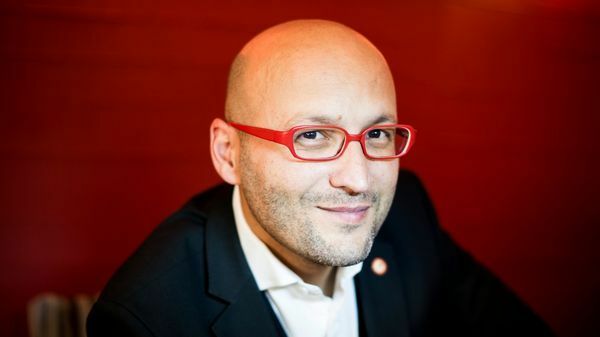 Italian conductor Enrique Mazzola is Artistic & Music Director of the Orchestre National d’Île de France, to which he was appointed from the 2012/13 season. Renowned as an expert interpreter and champion of bel canto opera, he is in demand worldwide as both an operatic and symphonic conductor. Plans for the 2017/18 season include his debut with Orchestre National du Capitole de Toulouse and return visits to Opernhaus Zurich (Maria Stuarda, Il barbiere di Siviglia), Deutsche Oper Berlin (Le prophète) and Lyric Opera of Chicago (I Puritani). ONDIF highlights this season include a concert version of Rossini’s La Cenerentola, recording work and concerts in Paris at the La Seine Musicale and Philharmonie de Paris. Recent seasons have included notable debuts including with Lyric Opera of Chicago (Lucia di Lammermoor), the Metropolitan Opera (L’elisir d’amore), Philharmonia Orchestra, Royal Scottish National Orchestra, Orchestra of the Age of Enlightenment, Oslo Philharmonic, Royal Northern Sinfonia, Scottish Chamber Orchestra, New Japan Philharmonic, Taipei Symphony, Brussels Philharmonic and Swedish Radio Symphony Orchestra, and return visits to Opernhaus Zurich (I puritani, Barbiere di Siviglia, Don Pasquale), Wiener Symphoniker (Musikverein, Vienna), Orchestre Symphonique de Quebec, Sao Paulo State Symphony, Bregenzer Festspiele with Rossini’s Mosè in Egitto, London Philharmonic Orchestra, Deutsche Oper Berlin (Vasco da Gama) and Glyndebourne Festival Opera with a new Barbiere production. With Orchestre National d’Île de France, recent highlights include performances of Rossini’s Stabat Mater, recording work and regional touring. Past opera has also included the Rossini Opera Festival (La gazzetta), Theatre des Champs-Elysées (Tancredi, Don Pasquale, La scala di seta, L’occasione fa il ladro, Il signor Bruschino), Den Norske Opera (Il Barbiere di Siviglia), Deutsche Oper Berlin (Dinorah in concert, Il Barbiere di Siviglia, Le Vaisseau fantome, Falstaff) and the Bolshoi Theatre (La sonnambula). Visits to Glyndebourne Festival Opera and on Tour have included performances of La Cenerentola and new productions of L’elisir d’amore, Don Pasquale, Poliuto and Il Barbiere di Siviglia. Opera credits also include Teatro del Maggio Musicale Fiorentino (L’italiana in Algeri), New National Theatre Tokyo (Don Giovanni), Opera du Rhin (Macbeth, La Cenerentola), Teatro alla Scala (Don Pasquale). He also devotes time to working with young musicians, including from the Accademia Teatro alla Scala, Académie de l’Opéra national de Paris, Opéra Studio de l’Opéra national du Rhin, Accademia del Maggio Musicale Fiorentino, Codarts of Rotterdam and has given conducting masterclasses with the students of the Conservatoire national supérieur de musique de Paris. He has conducted major European festivals, including an acclaimed new production of Falstaff at the Aix-en-Provence Festival, Festival de Radio France et Montpellier, Enescu Festival and Haydn Festival with Orchestre National d’Île de France, Bregenzer Festspiele (Donizetti’s Requiem), BBC Proms in 2016 with the Glyndebourne new production of Il Barbiere di Siviglia, München Opernfestspiele, Rossini Opera Festival, Biennale of Venice, Wexford Opera Festival and Festival de Granada. Between 1999 and 2003 he was the Artistic and Music Director of the Cantiere Internazionale d’Arte in Montepulciano, where he conducted many symphonic concerts and new operatic productions with the Royal Northern College of Music Symphony Orchestra. An accomplished interpreter of contemporary music, he has commissioned and conducted several premieres with ONDIF. He conducted the world premiere of Colla’s Il processo at La Scala, Il re nudo by Luca Lombardi at Teatro dell’Opera di Roma, Medusa by Arnaldo De Felice at the Bayerische Staatsoper, Isabella by Azio Corghi at the Rossini Opera Festival, and many other premieres with major European orchestras.